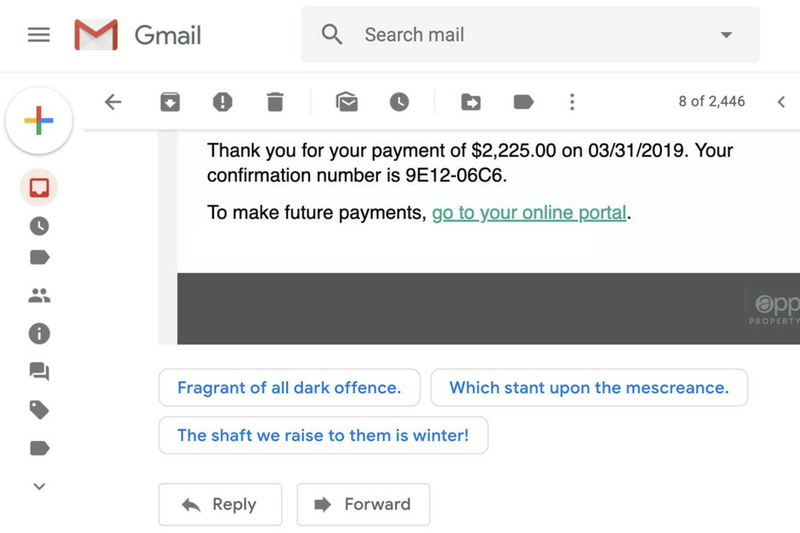 Google traditionally plagues the internet with April Fools’ gags on April 1st, but developer Chris Zubak-Skees has beaten the internet giant at its own game today with Suggested poems, a Chrome extension that replaces Google’s algorithmically generated canned replies with random lines of poetry. As Zubak-Skees clarifies in his thread, the extension is “absolutely not” endorsed by Google in any way. But honestly, his tweak is better since it’s totally opt-in by requiring you to intentionally install a Chrome extension, and it will actually stick around after April 1st, unlike most of Google’s gags. Plus, there’s just something amusing about replacing Google’s already-somewhat bewildering replies with flat-out inscrutable lines of verse. At the very least, unlike Google’s infamous “mic drop” April Fools’ joke in 2016, it’s unlikely that this one will result in any issued apologies from Google.